The most important pollution in paper production is generated during the pulping process. Pulping can generally be divided into three methods: chemical pulping, mechanical pulping, and chemical mechanical pulping. China's papermaking industry mostly uses chemical pulping. There are three main types of processes: bleaching alkali wheat straw pulping, natural kraft wood pulp, and bleached kraft wood pulp. There are three main sources of pollution in the pulp and paper process. (1) The black liquor from the pulping section (ie, pulping) and the red liquor from the acid-cooked pulp are used in the cooking section. At present, only some paper mills in China use alkaline pulping. The black liquor discharged is mainly lignin and Carbohydrate degradation products, while the degradation products of carbohydrates are in the state of meta-sugar acid, which is the main contaminant that causes high BOD value in the waste liquor. The contaminants in the acid-cooking waste liquor are also lignin and carbohydrates. Degradation products are the main reason for high COD and BOD. (2) Chlorine-containing bleaching waste liquid The most serious pollution in paper mills is the discharge of chlorine-containing bleaching waste liquids. Thousands of bleached pulps are produced by paper mills in China. Chlorine-based bleaching technologies such as chlorinated bleaching are used in individual paper mills. Hypochlorite bleaching, etc., hypochlorite bleaching mainly produces chloroform, waste liquid also contains more than 40 kinds of organic chlorides, of which the most chlorinated phenols, such as dichlorophenol, trichlorophenol . (3) Wastewater from the pulping and papermaking process Other wastes from the pulp and papermaking process, such as paper machine whitewater, are called mid-stream wastewater. They also contain various pollutants. If these wastewaters are not treated, they will also cause environmental pollution. However, these wastewaters are generally suitable. Physical processing can be achieved. In addition, a semi-closed circulation system can be used. The previous process can use the wastewater of the next process as much as possible to reduce the discharge of waste water. The clean production of the paper industry includes three aspects: clean energy, clean production processes and clean products. To evaluate clean production, we must focus on the promotion, design, implementation, and improvement of the three links. The design and implementation process must follow five principles. (1) Governance should be considered from the entire environmental system. (2) The three waste treatment should be comprehensively used from the waste and set up for final treatment. (3) Inorganic substances (heavy metals) must be thoroughly treated because they are harmful to the organism for a long time. (4) The production of organic waste should be minimized, and hazardous organics should be incinerated. (5) Solid waste should be treated centrally to reduce its environmental hazards. Wastepaper - collection classification - smash - descrease - purification - screening - concentration - deinking - impurity removal - beating - fiber grading - pulp - paper stock. Since the reform and opening up, China has attached great importance to the introduction of advanced waste paper processing technology and advanced equipment, and has introduced more than 50 waste paper processing lines, including bleached kraft paper, corrugated paperboard waste paper, used newspapers, bleached printing paper waste paper and other wastes. Paper processing equipment, the largest daily production capacity of waste paper production line can reach 500T. Chlorine-free or chlorine-reducing bleached pulp New technology Chlorine-free bleaching (TCF), also known as non-contaminating bleaching, uses chlorine-free substances such as O2H2O2, O3, etc. as bleaching agents to bleach pulps at medium to high concentrations; Bleaching (ECF) uses CLO2 as a bleaching agent to bleach paper pulp at medium concentrations. Chlorine-free and low-chlorine bleaching are intended to replace chlorination bleaching and hypochlorite bleaching of low-consistency pulps, which are environmentally polluted. (1) Oxygen bleaching Since oxygen is non-toxic and does not pollute the environment itself, after the oxygen delignification, the amount of bleaching agent and bleaching wastewater in the latter stage can be reduced by 50%. It has been proved that oxygen bleaching can greatly reduce the BOD in bleaching wastewater. The COD, chroma, and total organochlorine content play an important role in reducing the pollution of modern pulp bleaching wastewater. (2) Hydrogen peroxide bleaching Hydrogen peroxide is often used in the latter stage of multi-stage bleaching of chemical pulp to improve the whiteness of the pulp and the stability of the whiteness of the pulp after bleaching, in addition to the bleaching of mechanical pulp. (3) Chlorine dioxide Bleaching Chlorine dioxide is a free radical in itself, with excellent bleaching performance, strong bleaching ability, high efficiency, and whiteness stability. The most important feature of chlorine dioxide bleaching is the selective removal of lignin during bleaching. The degradation of carbohydrates is small and the strength of the pulp is good. Therefore, chlorine dioxide is still playing an important role in pulp bleaching. (4) Ozone bleaching Ozone has strong delignification and bleaching effects. In the pulp bleaching system, it can be used alone. It can also be used in combination with hydrogen peroxide, oxygen, and other bleaches to form multi-stage bleaching. The greatest attraction of ozone bleaching is The environment is non-polluting. For example, chlorine-free bleaching process Oâ€”Zâ€”Eâ€”P bleaching pulp is the most ideal for any pulp and paper mill. The concentration of ozone bleaching segment also has medium and high concentration. Divided, namely medium-density ozone bleaching and high-concentration ozone bleaching. The two key technologies for waste paper recycling are the removal of impurities and deinking, and the recovery of waste papers for recopying. Waste paper pulp and paper can reduce pollution, but waste paper is still more serious in the deinking process. In general, the ink is removed, first by chemical dissolution, and then by mechanical washing to remove ink from the pulp. If regeneration of the white pulp is required, bleaching and rinsing should also be included. In order to prevent waste paper circulation from decreasing the paper strength, it is necessary to improve the recovery of the waste paper recopying adaptability. Generally, some fine fibers are removed or paper enhancers, filter aids, retention aids and the like are used. The polymer reinforcing agent may also be used to bind fibers instead of hydrogen chain bonds between fibers to increase the strength of the paper. Based on the characteristics of paper product packaging, how to make a green package has made shallow analysis and key technologies needed to solve this problem. From the actual production process of green packaging paper products, implementing green packaging in the packaging industry can not only promote the development of China's green packaging, but also promote the protection of human ecological environment, participate in the global "green revolution", break the green trade barriers, Promoting the negative aspects such as the sustainable development of China's economy is of far-reaching significance. 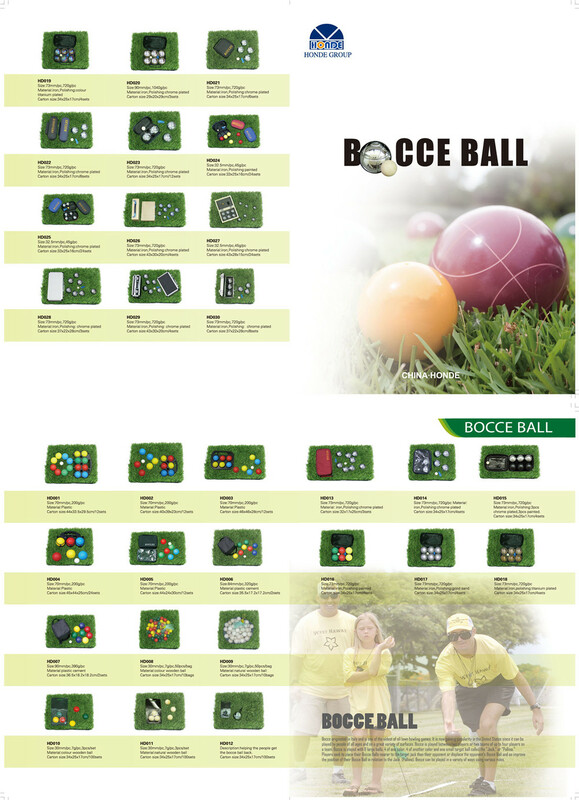 Bocce Ball is a kind of outdoor entertainment activity. We can also call it Bocce or Petanque. It dates from Roman Empire and is one of the oldest of all bowling games. It gains popularity in the United States since it can be played by people of different ages at their spare time in the park or on grassland. Bocce is played between two players or two teams of up to four players on a team. Making bocce ball using environmental friendly material. 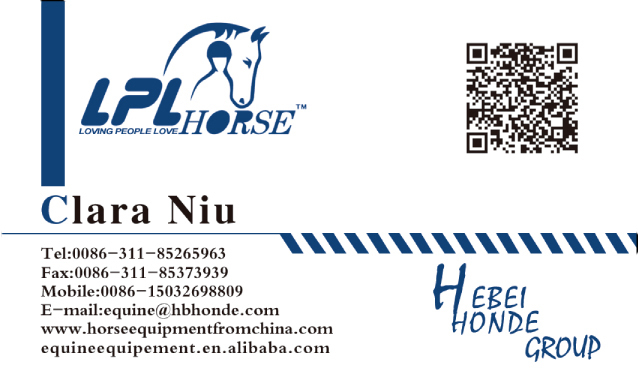 Having more than ten year producing experience, we reach European standard and have certificate of EN71, BSCI, REACH. Welcome to contact me for further communication.